The day after Michael Collins was shot, Richard Mulcahy, Chief of Staff of the Free State Army, sent a message to his soldiers. He urged them to "stand calmly by your posts" and said: "Let no cruel act of reprisal blemish your bright honour." Yet in Dublin, within days of that message, and as the body of Michael Collins lay in state in City Hall, Free State forces carried out atrocities which have been almost totally forgotten. On a recent visit to South Armagh a local republican gave me a copy of a memorial card for Lieutenant Bernard Daly, Officer Commanding, Z Company, Dublin Brigade of the IRA who was killed by Free State forces on 26 August 1922. He was from Carrickaldreen, Mullagh-bane, South Armagh but it appears he spent much of his youth with relatives in Drogheda. At the time of his death he was engaged to be married to a girl from that town. The 1932 edition of The Last Post states that Daly was active in the Tan war, arrested and tortured by the British and spent over a year in jail. He remained true to his oath to the Irish Republic and opposed the Treaty. He occupied positions in Parnell Square at the outbreak of the Civil War during the week of fighting in the capital. By the middle of August the Provisional Government of the Free State under Collins had control of Dublin. Collins himself had established a Criminal Investigation Department based at Oriel House, Westland Row. These former IRA Volunteers, turned Free Staters, acquired a ruthless reputation and became known to republicans as the Oriel House Gang. They were plain-clothed and heavily armed and Oriel House was notorious for ill-treatment of republican prisoners held there. Accounts of the killings of 26 August 1922 indicate that the Oriel House Gang was responsible. Michael Collins died at Béal na mBláth on 22 August. His body was brought to Dublin and lay in state in City Hall. Crowds were still filing past the coffin on 26 August. A short distance away that afternoon Bernard Daly was working as a barman in Hogan's licensed premises (now O'Neill's) in Suffolk Street. The Irish News reported that at about 3.30pm three armed men entered the pub and arrested Daly at gunpoint. He was dragged to the cellar and then taken away in a Ford car. Bernard Daly's body was brought to the City Morgue that Saturday night by Free State troops who claimed to have found it. Daly had been shot dead near St. Doolagh's Church on the Malahide Road in what was then rural North County Dublin. An elderly local resident, now deceased, recalled to Sinn Féin Cllr. Larry O'Toole that as a child he had seen the body of Bernard Daly lying in the back room of Campion's pub in nearby Balgriffin. Plain-clothed, armed men travelling in a large Ford car - possibly some or all of the same individuals - were responsible for the second summary execution of 26 August. 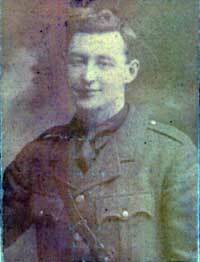 Seán Cole (19) of Lower Buckingham Street and Alf Colley (21) of Parnell Street were officers of Fianna Éireann, the republican youth organisation. They were arrested at Annesley Bridge and taken to Yellow Lane (now Yellow Road), Whitehall. They were to suffer the same fate as Bernard Daly - only this time there were witnesses. The Irish News reported that soon after 6pm a group of children and young people playing on the road were surprised when a large Ford car came to a sharp halt. There were five or six men inside - Cole and Colley and their abductors. The two Fianna members were forced out of the car while the crowd was held back at gunpoint. One of the Free Staters tried to open a gate to a field - which was presumably to be the site of the executions - but the gate was locked. The two young men were heard to cry out: "But what is it for?" o Edwin Hughes, Joseph Rodgers and Brendan Houlihan, The Quarries, Clondalkin. Anyone with information on the above republicans should contact An Phoblacht with a view to a further article. The assistance of Kevin Murphy, Mullaghbane, in research for this article is gratefully acknowledged.